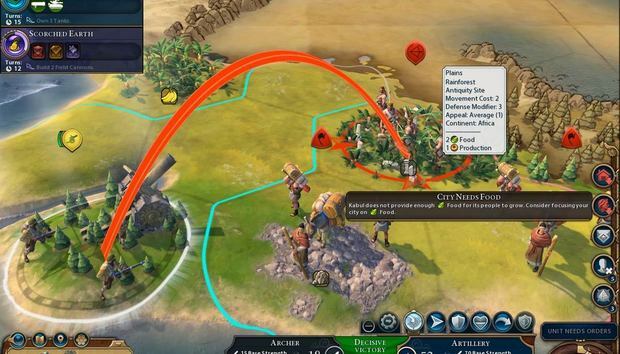 Civilization VI ($60; online game code available on Amazon; also available on the App Store) brings the best elements of the series’ preceding titles with some helpful new gameplay mechanics that make all the difference. Like the preceding titles, you develop a civilization from the ground up, build new technologies, choose the civics and politics to follow, explore the world around you, and decide whether to become the dominant civilization in the world via technology, diplomacy, culture, or outright warfare. 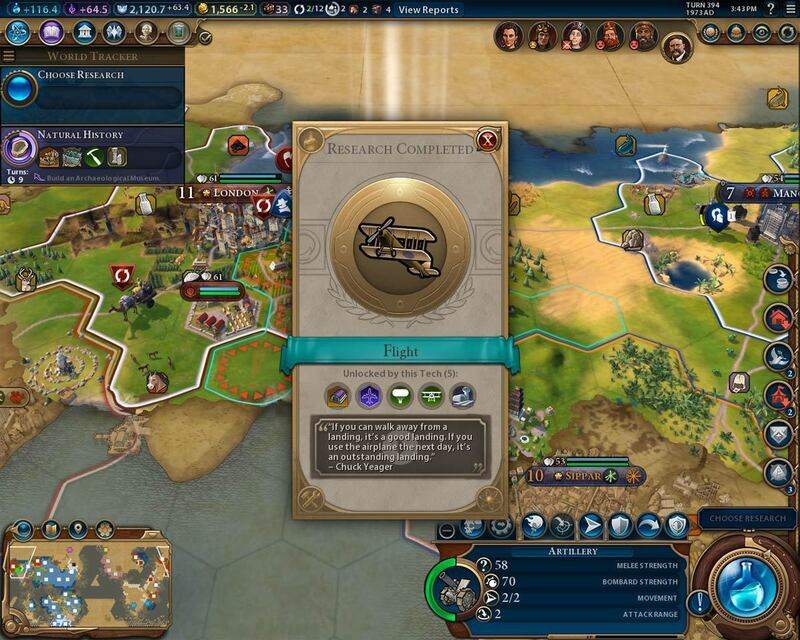 Following the classic “Civilization 4X” formula, Civilization VI is still based around the idea of “explore, expand, exploit, and exterminate,” wherein it falls upon the player to know what to do at what time. It all boils down to the balancing act between research and diplomacy, knowing when to declare a truce or alliance with your neighbors, when to make demands and when to shatter the peace in order to take down a nearby opponent. Develop your technologies to get the upper hand on competing civilizations. All of this is encapsulated within beautiful graphics, sound and music, complete with a killer narrative voiceover by Sean Bean. While the developers decided on a more cartoonish look for Civilization VI as compared to Civilization V, it’s still warm, inviting, and fun. Handy tools like a built-in benchmarking system help you choose the ideal graphics settings on your Mac, and the game runs well under both single player and multiplayer game modes. Even if you have your doubts about Civilization VI and what it can bring to the franchise, these concerns are quickly put to rest. 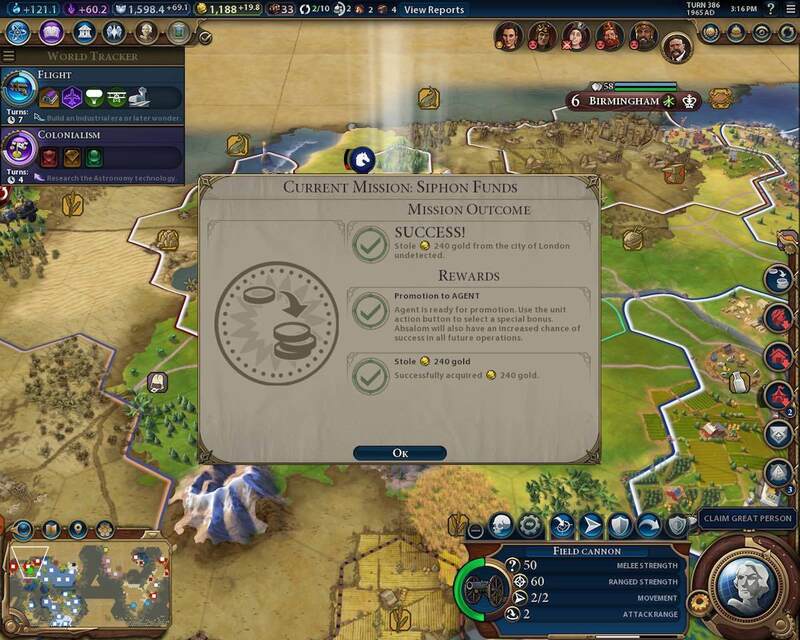 An excellent tutorial system quickly teaches you the basics, a slew of difficulty levels lets you choose your gameplay style, and it’s easy to either dive into the minutia of your research and civilization upgrades or let the game handle background tasks (such as map exploration) while you focus on your campaign. This, along with the rebalanced gameplay allows for additional ways to win, make things that much more interesting where replay value is concerned. Few things feel quite as good as sending a spy to steal an enemy’s funds or technologies. It doesn’t take long to get to the classic Civilization feeling of “just one more turn!” no matter how late the hour. It’s that feeling of wanting to explore and being pulled in that stays with you and remains the hallmark of the Civilization franchise. If there are any complaints, they’re in the form of an occasional bug I found wherein the screen would continuously scroll in a given direction, causing the player to have to pause the game, save it, quit the program and reload their game. The saved game would then load without issue, but this occurred three times within 20 hours of gameplay. Also, the game’s goals can be somewhat vague at times. After over 300 turns into a campaign, I begun to gleefully hunt down barbarian spearmen with Vietnam-era attack helicopters. But the game declared that I had lost and showed me the ruins of a city, but never explained the reasons why. 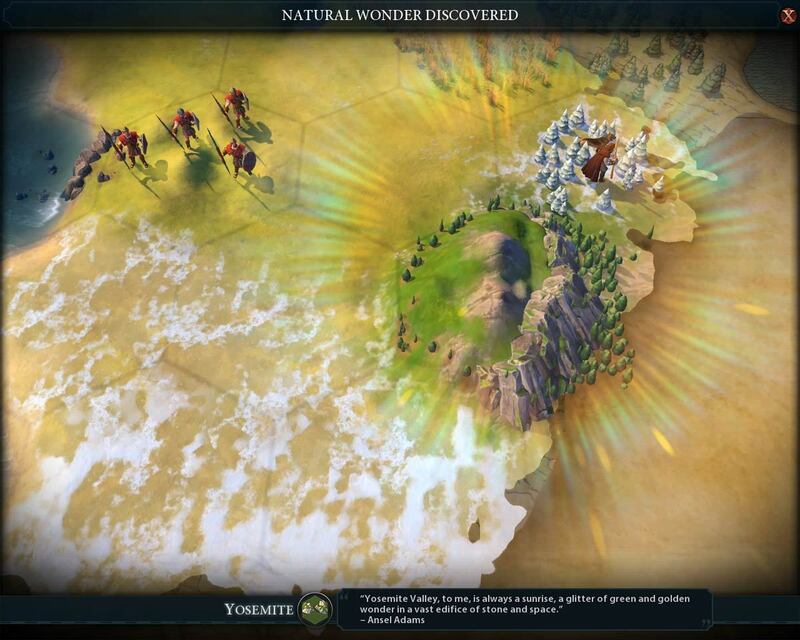 Explore the map to discover natural wonders and boost your stats. Even with a somewhat steep $60 price tag, Civilization VI stands above its predecessors and brings the addictive joy of turn-based gaming back to its fan base. Minor bugs and end goal vagary aside, there’s nothing like returning to conquer an opponent that pushed you to the brink of extinction, finding a way to decimate it and pushing your nation back to the top in the process.